Before the bill passed the State Legislature, the California Highway Patrol argued in opposition to it. In writing the CHP said, "Clear and consistent standards, rather than individual judgment, should guide how pedestrians use roadways when they are likely to interact with motor vehicles." CHP points to a steady annual increase in pedestrian collisions in intersections between 2013 and 2016, from 5,819 to 6,757. In addition, pedestrians have been found at fault? 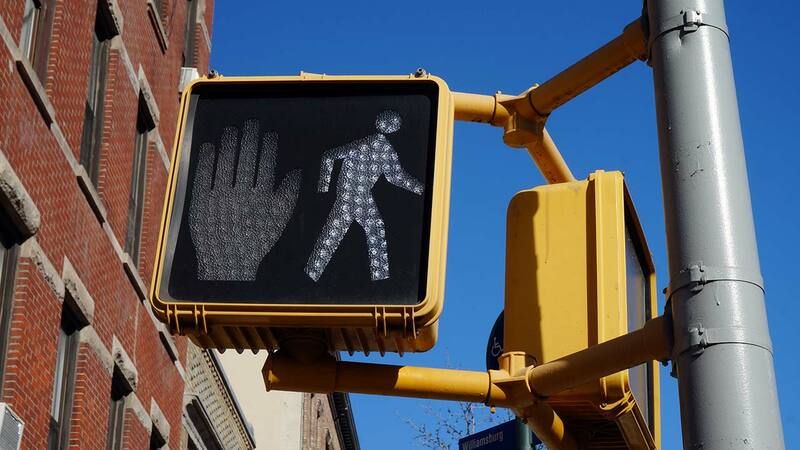 meaning they were in the crosswalk in disobedience of the signal ? in the majority of pedestrian-related collisions. CHP states that complying with existing signal requirements ensures the safest environment for pedestrians."